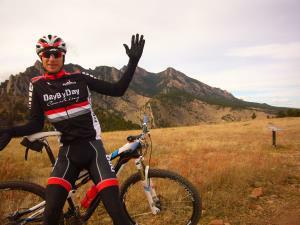 At DayByDay Coaching, endurance sports are our lives and passions. As past professionals and training "nuts", we have learned through experience how to create the best environment to help you reach your potential. We offer personalized coaching and consultation for cyclists in all disciplines, ranging from first time racers and fitness enthusiasts to WorldTour level professionals. Please visit us at www.daybydaycoaching.com to learn about our philosophies and services. Hello! My name is Chris Baldwin. I am passionate about helping others reach their cycling goals. Through my 15 year professional cycling career I learned a lot about the art of training. I also learned about the importance of communication between rider and coach, and the power of a motivational relationship. At DayByDay our "special sauce" is a blend of science and experience. I believe each is equally important. Real world "hands on" experience is essential to mesh the latest technology and techniques into an athletes life. I enjoy working with and have expertise with all cycling disciplines, levels and ages of athletes. From athletes seeking to simply lose weight and get fit, to professional riders. Success. Coach Chris Baldwin has been notified of your message. To hire Chris Baldwin as your coach, select the coaching service that is right for you.